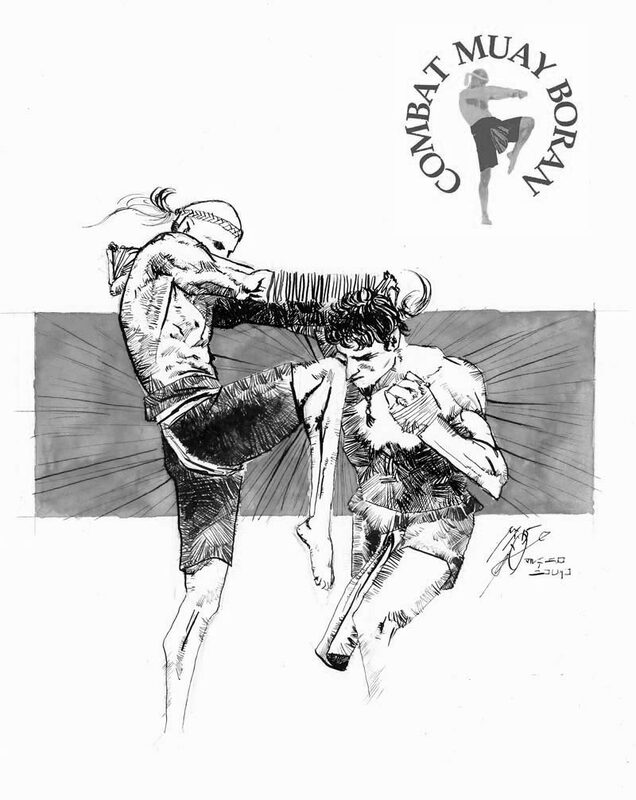 The quiet panting of shadow boxing, the exploding and resonating voice of Thai pads being struck and the empowering cheering of your training partner are accompanied by Grand Master Marco De Cesaris’ guiding, yet demanding voice and his instructions. Exhausted by the travel, two eager trainers of Muay Boran sweat their last bits of energy on the tatami of IMBA’s headquarters in Rome trying to perfect their skills and understanding of Muay Boran. We can truly feel the warmth of the IMBA family when we train at Rome. However, warmth in this context has to be redefined in order to understand what I mean. It isn’t only the kindest welcome you get, the hospitality of the members of IMBA Rome trying to make your stay as unforgettable as possible, nor those fruitful discussions with your fellow students or the master himself. In addition, it means that when we enter the gym it is taken care of that the teaching we get is the most individual and aiming to perfect our skills in the art to the extreme; even the slightest errors of our movements are corrected in order to scientifically maximise the output of power, keep our vital points protected and execute as lethal techniques as possible, all at the same time. This is just to name one of the aspects we dealt with. In other words, this is training Muay Boran for real practical use. The success of IMBA Finland is undoubtedly a matter of heart for the whole IMBA, and especially for GM Marco De Cesaris, who has empowered our activity via his sincere guiding, teaching and support. We can imagine the heart of our school residing in Rome giving birth to new life all around the world.